US congresspeople got quite the workout on the morning of March 3, 2015. 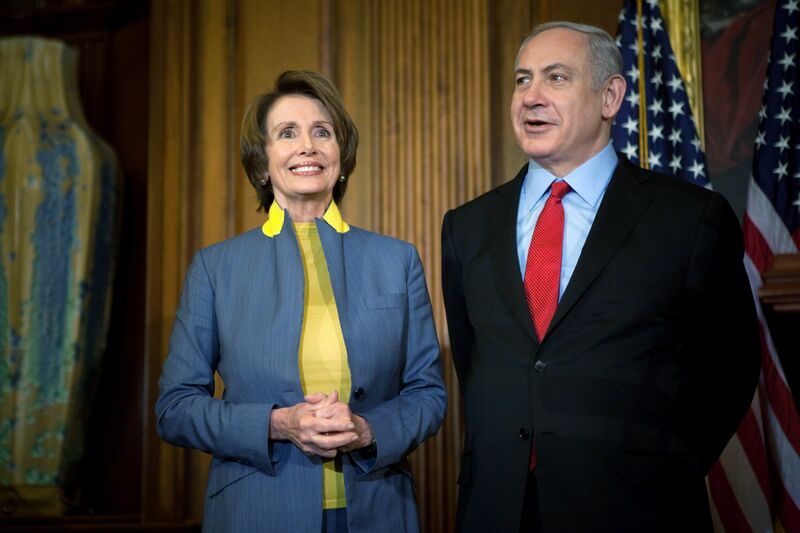 ‘Twas on this fateful day that Israeli Prime Minister Benjamin Netanyahu, leader of the right-wing Likud party, addressed US Congress, in what one might refer to as an historic occasion—the lector himself saw no problem in proclaiming it to be. I am leaving for Washington on a fateful, even historic mission. I am the emissary of all Israelis, even those who disagree with me. Such an occasion did not occur without much hullaballoo in the US press, primarily because the foreign head of state was invited directly by Capitol Hill. The White House was not consulted. If there is one word to describe Congress’ response to the affair, it would be “ecstatic.” In the drug-addled sense. A bit too ecstatic—verging on the delirious. Maniacal, almost. To say it was just well received would be to commit the callous crime of understatement. In Netanyahu’s pep rally, rather speech before the US legislative branch, Congress interrupted to applaud 39 times. 23 of these were standing ovations. 10:55 of the 40:30 of Netanyahu’s exhortation consisted of applause. In other words, 27% was Congress applauding and doing standing ovations. I repeat: Over one-fourth of Netanyahu’s speech consisted of Congress applauding and doing standing ovations. Our representatives doubtless did not have to worry about going to the gym this lazy Monday morning; they worked up enough of a sweat standing up and sitting back down every minute or so in the legislative equivalent of calisthenics. Through three painful hours of careful counting, I compiled statistics on the incidence of applause. These figures use time frames from the 40:30 New York Times video of the disquisition. Congress interrupted to applaud 39 times. 23 of these were standing ovations. 10:55 of the 40:30 of Netanyahu’s speech consisted of applause. In other words, 27% was Congress applauding and doing standing ovations. In the first 6:26 of the Netanyahu speech, Congress interrupted to applaud 11 times. 5 of these were standing ovations. 2:14 of the first 6:26 of Netanyahu’s speech consisted of applause. In other words, 35% was Congress applauding and doing standing ovations. In the last 14:53 of the Netanyahu speech, Congress interrupted to applaud 24 times. 15 of these were standing ovations. 7:35 of the last 14:53 of Netanyahu’s speech consisted of applause. In other words, 51% was Congress applauding and doing standing ovations. Ben Norton is a journalist and writer based in New York City. His work has been featured in a variety of publications. You can follow Ben on Twitter at @BenjaminNorton. His website is BenNorton.com. Other posts by Ben Norton. [EXCERPT] It was all rather disgusting. There they were, the members of the highest legislative bodies of the world’s only superpower, flying up and down like so many yo-yos, applauding wildly, every few minutes or seconds, the most outrageous lies and distortions of Binyamin Netanyahu. It was worse than the Syrian parliament during a speech by Bashar Assad, where anyone not applauding could find himself in prison. Or Stalin’s Supreme Soviet, when showing less than sufficient respect could have meant death. What the American Senators and Congressmen feared was a fate worse than death. Anyone remaining seated or not applauding wildly enough could have been caught on camera – and that amounts to political suicide. It was enough for one single congressman to rise and applaud, and all the others had to follow suit. Who would dare not to? The sight of these hundreds of parliamentarians jumping up and clapping their hands, again and again and again and again, with the Leader graciously acknowledging with a movement of his hand, was reminiscent of other regimes. Only this time it was not the local dictator who compelled this adulation, but a foreign one. How about the boycotters? The best way to resist this piece of crap theater, whose very performance is affront not only to humanity and decency, but to the dignity of the USA and its Chief Executive because of the gross breach of protocol, is to not attend it at all. The speech should never have been given, the invitation should never have been extended. Regardless of the content of the speech. Sooo, the best way to make that point is to refuse to listen to it. Particularly in the case of those Reps and Senators who made it clear that they were deliberately and, as a matter of principle, NOT attending. But is that true? Didnt Feinstein say that she wasnt going to be jumping up and down? THE ARTICLE IS DATED 05/26/11. Uri Avnery wrote it after Netanyahu’s speech to the Congress back in May 2011. Virtually everyone was in attendance for that speech. OK, fine. The article was accurate at the time it was written by Avnery. But why are you citing and quoting it now? Moreover, why are you highlighting a portion of it (ie “The most depressing part of it was that there was not a single lawmaker – Republican or Democrat – who dared to resist.”) that has become inaccurate? I get that you wanted to give Avnery credit for the “yo-yo” metaphor, which is quite good and telling, and does continue to fit the conduct of most Senators and Reps. But you could have done so without presenting all the quoted matter, particularly the highlighted part that claims that no one in DC dares to resist, which is no longer true. [EXCERPT] Suddenly it reminded me of something. I was watching The Speech by Binyamin Netanyahu before the Congress of the United States. Row upon row of men in suits (and the occasional woman), jumping up and down, up and down, applauding wildly, shouting approval. It was the shouting that did it. Where had I heard that before? And then it came back to me. It was another parliament in the mid-1930s. The Leader was speaking. Rows upon rows of Reichstag members were listening raptly. Every few minutes they jumped up and shouted their approval. Of course, the Congress of the United States of America is no Reichstag. Members wear dark suits, not brown shirts. They do not shout “Heil” but something unintelligible. Yet the sound of the shouting had the same effect. Rather shocking. But then I returned to the present. The sight was not frightening, but ridiculous. Here were the members of the most powerful parliament in the world behaving like a bunch of nincompoops. Nothing like this could have happened in the Knesset. I do not have a very high opinion of our parliament, despite having been a member, but compared to this assembly, the Knesset is the fulfillment of Plato’s dream. . . The excerpt, and the entire column is OK, as far as it goes. But it doesn’t go nearly far enough. Calling the Bibi Show “ridiculous” is perhaps accurate, but is also misleading. The power of the Lobby, whether it succeeds in the immediate effort (ie scuttling the deal with Iran) or not is indeed “frightening.” As are the actions of the Israeli regime (and not just Bibi or even Likud) generally. It is easy enough to ridicule this pocket edition, wannabe Churchill, but doing so should not obscure the fact that he is only the most extreme and unconvincing exemplar/spokesman of an entrenched, evil, criminal regime. And there is noting remotely funny about that. I watched the whole speech and to be honest , I am not sure which part was more infuriating.Netanyahu,s blatant lies or the congress critters submissive adoration of this criminal war monger who was attempting to convince , correction , ordering them to send the children of their constituents to die for Israel. I wonder how many of the Congress critter,s off spring will be in the front line taking fire. Thanks for the report Ben, it puts the whole sham in perspective .It was all claptrap and clapclap. Through three painful hours of careful counting, I compiled statistics on the incidence of applause. thank you ben! much appreciated! Did Israeli television carry the applause, or was that some of what they cut? Hard to clap when you’re carrying a blazing Olympic torch (yes, that’s where the “tradition” of the Olympic torch started). In “The Gulag Archipelago” Solzhenitsyn describes how the mayor of a small town was sent to the Gulag for being the first to stop the applause at a meeting in honor of Stalin’s birthday. This was after the ovation had already continued for 20 minutes. A bell or buzzer might be used to stop applause. I just watched a video of Stalin being applauded at the Bolshoi Theater in 1937. After several minutes in which repeated ringing of a bell fails to stop the applause — when it dies down someone else always rises to shout “Ura!” and set it going again — Stalin himself intervenes, you can hear him shout “Enough!” and motion with his hand. And 1937 was of course the height of the Great Purge. What word did he use for “enough”? Was it “довольно”? Typically the word in that context would be “Hvatit”. Etymologically Hvatit means to catch something, I think. But anyway, it’s used in speech as a command to tell someone that they had enough of something that is now annoying and to stop doing it. Looks like I was right. One thing I noticed is that the Congresspeople clapped for Netanyahu immediately after he declared that Iran had taken over capitols, and in fact this was after a long passage, in the middle of his speech, describing Iran in very dark terms. As a purely rhetorically issue, this was not a place in the speech where one would rationally clap. It’s worse than laughing long before the punch line in a joke. In contrast, if Stalin said that Iran was a bad threatening place for the Soviet Union, then his people would not, I assume, clap at that moment in the speech. But in Netanyahu’s case they did. So in Netanyahu’s speech it means they are just clapping for anything, not even if it is rational. .. hmmm … the greater the fear, the greater the applause. In the Netanyahu speech video, they are using a gavel to stop applause. If they had not used the gavel, I am not sure how long it would have gone on when Net. introduced himself. You would have the AIPAC folks who filled up the empty seats still clapping, and few of the legislators would want to be the first one to stop. Interesting article about North Korea in the latest Vanity Fair (the Hollywood issue) that recounts a recent meeting of the North Korean leadership where everybody else enthusiastically applauded the new leader, with the exception of his uncle, who was executed shortly thereafter. Another article about North Korea in that issue of Vanity Fair makes it clear that The Interview was made because it was encouraged by people in the U.S. government. Shocking government policy. In view of the similarity of the (real and fictional) events, this does suggest that there is truth in the allegation sometimes made that it was the U.S. government, not Al Qaeda, that was behind the assassination of Massoud in Afghanistan by people pretending to be journalists interviewing him a couple of days before 9/11. After all, his assassination cleared the way for the people the U.S. wanted put in charge of Afghanistan. 23 standing ovations? Did I count that right? I didnt realize there were so many speakers of Russian on this blog. Drooling legislative leaders and Pavlov’s dogs. Much has been made of the various influences on Prime Minister Netanyahu. A thesis could be written—perhaps by a scholar of psychology rather than politics—arguing that he sits at the center of a triangle formed by his father, his wife, and his brother. His father, Benzion, who died, aged 102, in 2012, served as private secretary to Vladimir Jabotinsky—the founder of Revisionist Zionism, the maximalist creed that insisted on a Jewish state holding the entire, biblically-defined Land of Israel (which would include the West Bank, Gaza and all of what is now Jordan). Nevertheless, the most obvious mentor is the one Bibi never met. Netanyahu has been re-enacting the Churchill story for more than two decades: as a junior member of the Knesset, he was warning that Iran was just “three to five years” away from a nuclear bomb back in 1992. He’s sounded the same alarm at intervals ever since. We are always on the brink, he is always the lone wise man, able to hear the rumble of the gathering storm. The great value of Churchill syndrome to one who suffers from it is that it is self-vindicating. The more Netanyahu’s warnings of the Tehran menace are dismissed, the greater his similarity to the cigar-chomping seer who was fatefully ignored in the 1930s. True, even Israel’s own defense and intelligence chiefs think Netanyahu is wrong on Tehran—the former Mossad boss Meir Dagan has described the prime minister’s approach as “stupid”—but weren’t the British brass similarly misguided about Hitler? None of this bothers Bibi. Isolation only convinces him he’s right. Much as he loves the adoration of Congress, which has become a home venue, the hatred of his enemies makes him stronger. Because it makes him more like you know who. As if to confirm the Israeli PM’s historical fantasy, his host, House Speaker John Boehner—whose unilateral invitation triggered the whole controversy— presented him with a parting gift, a statue of the only world leader besides Netanyahu to have been granted the privilege of speaking to Congress three times. The Israeli prime minister left Washington with his very own bust of Winston Churchill. Britain always had a small army (mainly used for policing the Empire) and a huge navy (for protecting trade routes). The Royal Navy was the largest in the world until overtaken by the US Navy during WW2. For all his faults, Chamberlain, realising in the 1930s the danger posed by Nazi Germany, made good strategic decisions. The army was mechanised (but lost most of its capability at Dunkirk, when all its armour and mechanised transport had to be abandoned, hence the string of defeats until late 1942). The navy was modernised, and always outclassed the German navy. Most importantly, the airforce developed the most sophisticated air defence system of its time, hence the defeat of the German airforce in the Battle of Britain. Chamberlain is much maligned (e.g. there was nothing Britain could do to save landlocked Czechoslovakia in 1938) and Churchill, great as he was, often overrated. I have read analyses that suggest the opposite. Had Britain and France supported Czechoslovakia in refusing to give up the Sudetenland, and prepared a force on the French border, Germany did not (at that time) have the capacity to both breach the Czech defences and defend the border with France. Didn’t Churchill say, “To jaw-jaw is always better than to war-war.” at a White House lunch? BB-gun should indeed learn from his mentor. These guys might not always be able to walk a straight line, in the evening you know?, but they sure know how to walk a straight party line. Their behavior reminds of a scene in the movie “The Concert.” One of the characters, an old timey communist, enjoys the chance to go to Paris where he hooks up with his old socialist buddies. One of them recalls the glorious convention of 1966 when their party got “%110” of the vote. Ah, yes, one to them says, no one ever did better! When BB (big bullshitter) repeatedly said to Congress members “you stand with Israel”…”I know that you stand with Israel” He means that literally. Wonder if any of the political cartoonist will show BB in front of the curtain with a remote control switching it to on every time he wanted congressional members to hop to their feet? Speaking of Israel and the U.S. standing together, Israel and the Mossad were very much involved in the coup in Venezuela that the U.S. attempted in February. Obama failed his coup in Venezuela. Our dirty fingers, along with Israel’s, can be found around the world, wherever the US decides which leader should go, and who should be supported to replace him/her. This is part of the strategic support Israel gives us. And Americans still wonder why we are hated this much. Still, to me, the big story is not the odious contents of the speech or its sycophantic reception. All of that is old news and same ol’, same ol. The real news, rather, is that over fifty Democratic Senators (and Barry Sanders!) and US Reps dared to skip the speech, many of them explicitly calling their absence intentional and principled (as opposed to merely logistical). At least one wing of one of two major US political parties (ie the liberal-minority wing of the Dems) now has drawn a line in the sand, for the first time in decades. There is at least some point at which at least this group of elected reps will stick, will not cave to the Lobby, and will say “no” to Israel and its demands as presented by its demented, war criminal leaders. And that is something new. And something good, too. the few scattered democrats that skipped the speech are already forgotten and yesterdays news. they won’t even be able to use it in their campaigns for re-election as what US democrat will actually care? Republicans are usually the ones with the long memories for incidents like this. Could you be any more transparent in your agenda? In any event, your drive by, half thought out, rushed, self serving, minimizing, and completely full of you know what, bar stool speculations and predictions aren’t worth the paper they aren’t printed on. This “historical” trip, where he made believed he was King of the Jews, and wanted to impress voters at home (at the expense of Obama/WH) seems to have worked for him. An article in Haaretz says that Likud has got back 2 seats they had lost in the polls. His opposition seems weak and unsure. It must have been some kind of ego trip for Beebs too. A moment in time when he can pretend those applauding him wildly, so many times, are all controlled by him, moved easily, and eager to do his bidding. That is some power trip. These are powerful leaders in the world’s greatest superpower, and he is their puppet master, and they, his obedient servants. No wonder Sara Netanyahu thinks he should be President of the US. Pretend? He doesn’t need to pretend. As for being president of the US, it seems that most of the people who decide the president, and I sure don’t mean the voting public, have decided for the Yahoo. So Madam Sarah is probably right, too. You are right he does not have to pretend. They are all his little minions, bowing and scraping, and even attacking their President’s policies, when asked to do so. “And Sara supplies the goods. Just look at what she told former Sderot Mayor Eli Moyal’s wife, Monique Ben Melech, late one night. 27% of the speech was applause with 50% of the ending section being applause? I didn’t realize how much the political theatre involved was similar to that in Stalin’s speeches. I found myself transported to a time I took my young nephew to a Christmas pantomime; the orchestrated screams of delirious 6 year olds and adults with faces like Nancy Pelosi. Binyamin Netanyahu’s speech to the US Congress this week has won him only a marginally increased level of support before Israeli elections on 17 March, with more than 90% of participants in one poll saying the speech failed to inspire them to change their vote. The speech, regarded by the White House as a serious breach of protocol, was widely seen in the US and Israel as a risky political gambit by Netanyahu to win support for another term in office. But it appears to have had a limited impact so far on the election campaign. I would have thought that, in an election as close as this one is apparently shaping up to be, every little bit helps. I think Zionism has gone as far as it can and that the speech was proof that it has run out of ideas. There was something of the pantomime about it. I still think it is far too early to tell, but apparently the speech did not bring the surge of support he must’ve dreamed he would get. Whoever is the next PM will not change the terrible situation in the Palestinian territories. The occupation, land grabs, and blockades will go on. So will the leveling of Gazan homes, or what is left of it. It was all gimmicks and symbolism. Netanyahu using it for the coming election and Obama using that too for the dame purpose only in the opposite direction – trying to convince Israel not to vote for him (as well as a retribution for Netanyahu`s support for Romney 6 years ago) and the Republicans using it to assert more influence on the conduct for foreign affairs now that they have majority in the whole Congress. The US and Israel are inextricably tied in fighting common grave threats but a little political “fun”, as the continual skirmishes between parties in the US, is always part of “the show”. What common threats? What is Israel doing to fight ISIS? Bingo! I wish more of us would highlight Israel’s hypocrisy in attacking the very forces in Syria that are in a life and death struggle with ISIS. How can anyone take Israel seriously given its regular attacks on Assad’s forces? Who is worse, Assad or ISIS? We no longer have to wonder and guess who our congress and elected officials pay homage to. They put it in our faces on 3/3/2015, a day of shame and disgrace. It was a public takeover by the the Israel nation and it was a treacherous act. Boehner and Dermer should be arrested for treason. They completely disgraced the United States. Dunno if you’ve seen the video at that link yet. But it’s worth a gander. Bibi’s speech set to music, it’s pretty outrageous. The lead in cartoon to this article was a nice summary. What might this ‘Dark Vein’ of Intolerance in GOP that Colin Powell Still sees, be? The Neocons are starting to stink up the kitchen.